Hi, my name is Lisa Xu, and I am currently the owner of Lotus 5 Senses Spa located in Winston Salem, North Carolina. I was born and raised in China. I received my E-MBA (Executive Manager of Business Administration) degree in 2011. I graduated from the International Naturopathic College – Neruro Beautogisht in Hong Kong, China in 2011 and the International Naturopathic College – Flower Therapy in Hong Kong, China in 2012. Hi, my name is Adrian, and I am originally from Hiddenite, North Carolina, better known as the Emerald Mines. I attended Mars Hill University and received a full scholarship to play baseball there. I also obtained a Bachelor of Science degree in Athletic Training and was fortunate enough to have played professional baseball for one season in Canton, Ohio. Hi, my name is Trudy. I’m originally from Guatemala City, Guatemala. I am a graduate of the Living Arts Institute, where I became a Licensed Massage Therapist and gained my knowledge in different modalities that included Swedish massage (relaxation), integrated deep tissue massage (which is for aches and sore muscle), hot stone massage, sports massage, and chair massage. Hello, my name is Aquila, and I am a licensed massage therapist here at Lotus 5 Senses Spa. As a firm believer in natural and holistic healing, along with my innate admiration and appreciation for the human body and desire to help others, it was only a matter of time before I found myself in the business of massage therapy, and I love it. 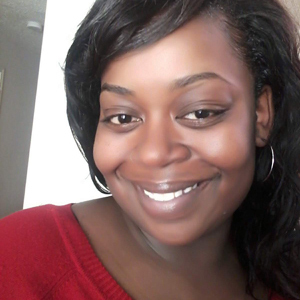 Hello my name is Lakeisha Mobley and I am currently a licensed massage therapist here at Lotus 5 Senses Spa. I have been a licensed therapist since 2017, and I have enjoyed working in this profession the past 2 years. I have a deep passion in helping people rejuvenate their bodies and assist in relief from the stress and pain from everyday life. I specialize in a number of modalities including, Swedish, Pre-Natal, Sports and my absolute favorite Deep Tissue Massage.